I’m yet to encounter a small business that isn’t leaking profit in the way they approach their marketing. If you’re not supporting every step in a person’s buying decision, you are necessarily losing business. 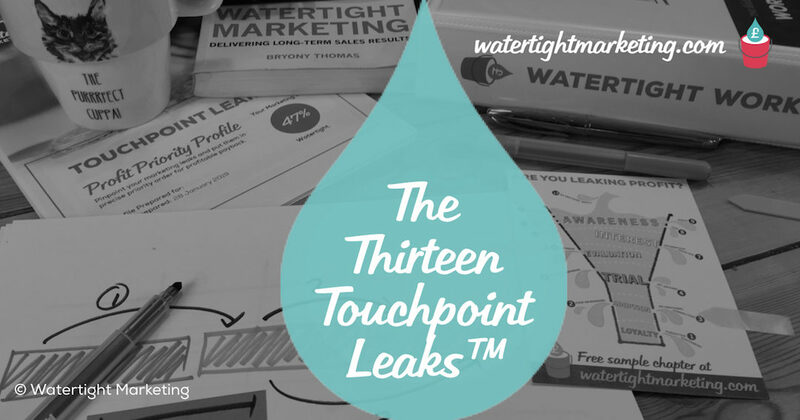 Here’s a rundown of the Thirteen Touchpoint Leaks™, which are gaps I most commonly see in a new business set up. And, you’ll notice that I start at the bottom and work up. That’s because there really is no point in running expensive Taps into a leaking Bucket. Address these leaks, in this order, and you will make more money. Leak #1 – Forgotten customers – Do you have a consistent customer communications that proactively addresses any service needs and keeps your business in their minds? Leak #2 – Poor on-boarding – Is there a structured approach to communication with your new customers as they settle into their relationship with you which demonstrates that your service is consistent with the expectations they had? Leak #3 – No emotional connection – Does your visual and written style have a personal touch that’s friendly and allows people to make an emotional connection with your business? Leak #4 – No gateway – Does your business offer a coherent set of products that lead helpfully from one to the next with the inclusion of a stepping stone that allows people to understand what it’s like to be a customer before they are one? Leak #5 – No critical approval – Is there a clear way of educating, or helping your buyer educate, anyone who could veto the purchase decision? Leak #6 – No proof – Are you systematic about signposting some sort of proof against every promise or claim that you make? Leak #7 – Information overload – Do you have a steady stream of relevant information that invites people into finding out more? Leak #8 – How – Is your content available in a range of familiar and novel formats so that people can engage with ease and enjoyment? Leak #9 – Where – Are there at least three places to put your materials that you know your potential buyers already access? Leak #10 – When – Have you made a commitment to timing the release of your materials so that people are most likely to notice it? 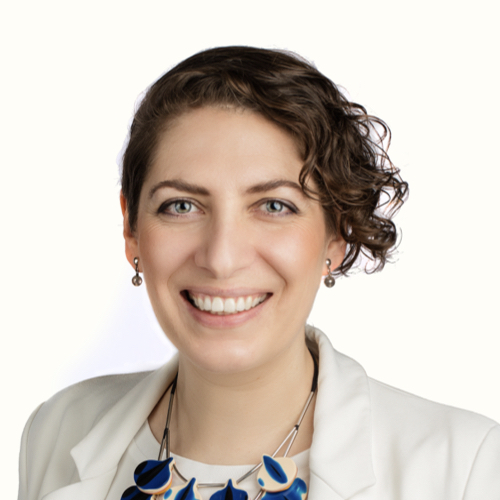 Leak #11 – Who – Is there a way of getting people talking about your business so that buyers hear something good about you regardless of who they turn to? Leak #12 – What – Do you have an absolute clarity of purpose in telling people what your business does? Leak #13 – No emotional impact – Do you strike an emotional chord with your potential buyer that means they can’t help but notice you and they feel compelled to take action? Your business won’t have all these Touchpoint Leaks. You’re in business, and paying the bills, so you’re clearly doing a lot right. But, I’m willing to bet if you were setting each to Red, Amber and Green, one or two would be flashing red. And, even those that aren’t high on your list to address, a little tweak here and there could have a healthy effect on your bottom line. © Bryony Thomas | Illustration by Lizzie Everard. This is an adapted excerpt from Watertight Marketing.